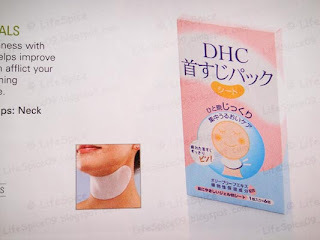 I saw DHC brand products on Japanese magazines and beauty bloggers’ websites before, until recently I found out that they have an English website. I think it was a month or two ago. I don’t really remembered what I did but I think I ordered a catalog. 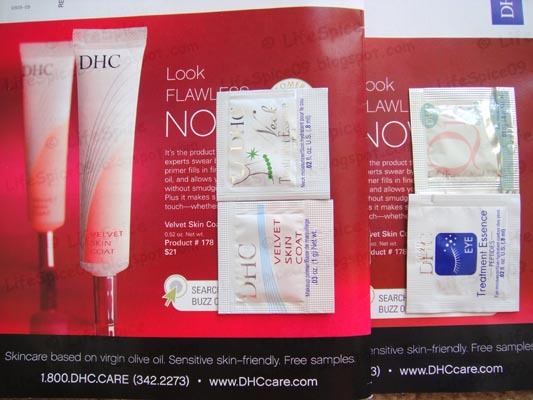 About 2 weeks ago, I did receive the catalog along with 4 little samples. The envelop looked like this. Just this weekend I received another catalog which has different samples. So I decide to share with you guys what I got. I haven’t tried any of them yet but I will soon. 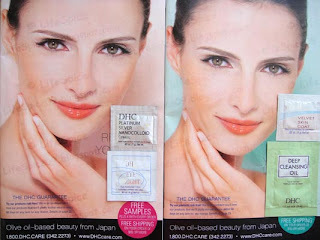 Actually I did tried some of the DHC Deep Cleansing Oil and Soap samples that came with my beauty magazine before. I didn’t like the oil much because it’s really thick and smell awful. The soap was pretty good though. After went through the whole catalog, there’re two things that caught my eyes. One is the Revitalizing Moisture Strips: Neck and the other is the DHC eyelash tonic. The little doll picture on the packaging is too cute and who doesn’t want her neck look like a baby. Also for the eyelash tonic, I heard some good reviews about it. 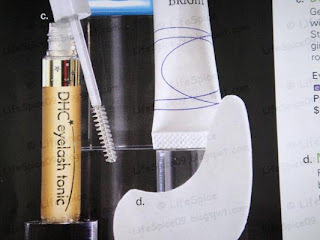 I tried about 5 different eyelash treatments before and only Talika sort of worked. So maybe one day I’ll get this and see if it works. P.S. I’m writing this post only to share some information. 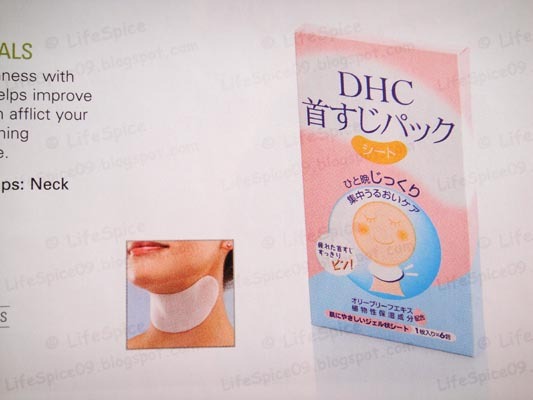 I’m not doing an advertisement for DHC. If someone like me is interested in the DHC brand, they have an english website to check out. I love how DHC always give you some samples to try out in their catalog 🙂 good marketing strategy! 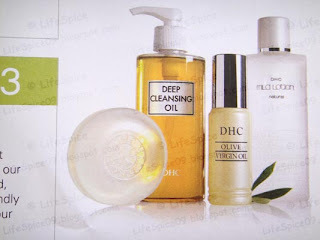 LOL, I really adore their cleansing oil!